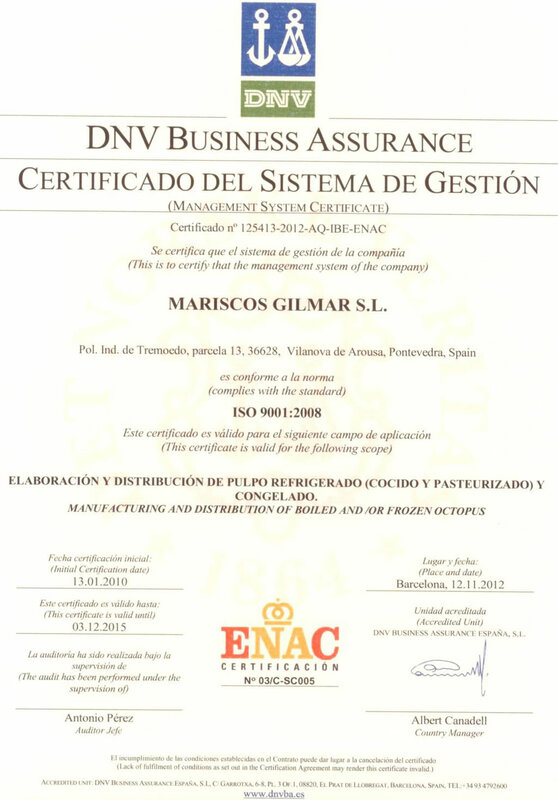 In Mariscos Gilmar, we implement our HACCP, updated and the support of the Iso 9001: 2008 since 2004, which accompanied the efforts of our Quality Department and the know how of the company, the reason is supported by the that the final product reaches the consumer in a practical way and with all the requirements of food security, maintaining its excellent flavor and texture, typical of more traditional product. We are also adhering to operated by Ecoembes and to properly fulfill Packaging Act Integrated Management System (IMS). 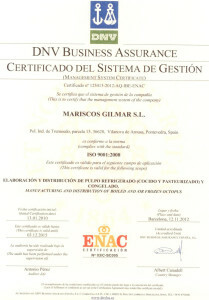 Since 2008, we have been making US exports, which necessarily implies that we are registered with the FDA.